Life and Death of Leslie Grantham, When, Where and How Did He Die? In his lifetime, Leslie Grantham was most popular for the part he played in the British television show EastEnders, but this is not all he was known for. This British actor had quite a number of scandals on his hands and even a murder. In view of all that, he has remained a person of interest for many people even at death. Keep reading to learn more about Leslie Grantham. On the 30th of April 1947, in Camberwell, London; Adelaide and Walter William Grantham welcomed their child Leslie Michael Grantham to the world. He spent most of his childhood in the town where he was born and played netball while he was in high school. At the age of eighteen in 1965, Grantham joined the British army. A year after enrolling in the army, Grantham killed a cab driver; a man called Felix Reese. He had planned to rob him and a scuffle ensued, during the fight Grantham shoot him in the head, killing Reese. This murder happened in Germany. Grantham claimed ignorance of the gun being loaded and that the shot to Reese’s head was not intentional, the killing would have been classified as manslaughter if the testimony was believed by the jury. The case got to the courts in 1967, and he was tried on the grounds of murder, found guilty and was given a life sentence. His sentence was served in the British penal system, regardless of the fact that he had committed the crime and was convicted in Germany. He had to serve his sentence in Britain because as a soldier of her Majesty’s army, any sentence that exceeded two years was served at the prison service under the Queen’s jurisdiction, which includes Britain. As a result of his actions and eventual imprisonment, he was dismissed from the army. Grantham was released in 1977 after serving ten years of his sentence. While in prison, he performed in a few plays and was given a nudge by T. Dan Smith and Louise Jameson to pursue a career in acting, he met the two while he was serving his sentence. After getting out of prison Grantham joined an academy for acting – Webber Douglass Academy of Dramatic Art. His first role in a television show was in 1982 in a series called Jake’s End. He had subsequent roles in other television shows such as Goodnight and God Bless, Doctor Who, The Jewel in the Crown, A Reason to Live. Regardless of all the roles that he had in these TV shows, and in one movie, his break did not come until 1984 when he entered auditions for the show EastEnders. 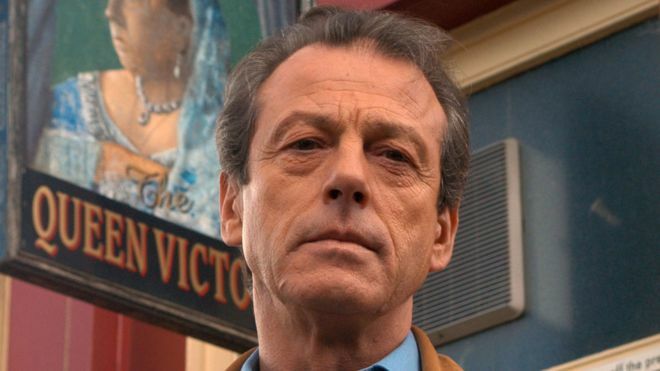 Leslie Grantham was able to bag a role on the show based on the recommendation of a man called Matthew Robinson who was part of the show’s production, the two had previously worked on Doctor Who together. The role of Den Watts which he held on the show was different from what he had tried out for. However, he became a fan favorite and was dubbed Dirty Den by fans of the show for his treacherous behavior towards his wife (Angie) on the show. Grantham left the show four years later, to the dismay of the producers. His departure was written in a way that left room for his return to the show, which he did in 2003. The first episode that showed his return was seen by more than 17 million people. EastEnders might make up the majority of Grantham’s work portfolio but he had roles in other theatre productions, movies and TV shows, some of which are The Stretch, Fort Boyard, and Wycliffe. In 2004, it came to the public’s notice via pictures in a newspaper that Leslie Grantham had fondled himself on a webcam while masturbating in a Captain Hook Costume and had insulted some of his co-workers on EastEnders. In a statement he issued after the incident, he apologized for his behavior and offering money to a charity as a show of remorse. His actions cost him his job on the show. Grantham was married to Jean Laurie; they were married for 31 years and the two of them went their separate ways in 2013 by getting divorced. They had three sons together. When, Where, and How Did He Die? 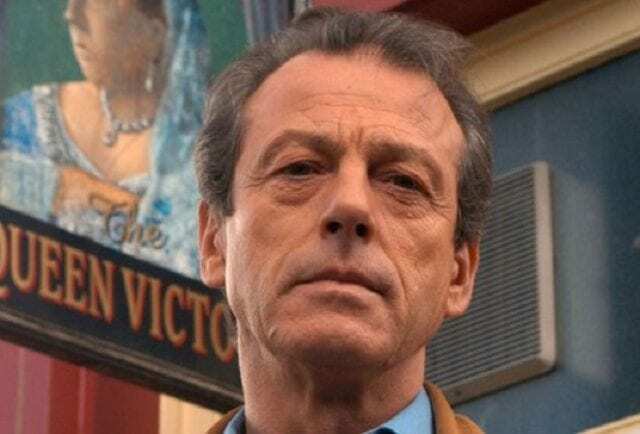 Leslie Grantham died on the 15th of June in 2018 in the United Kingdom, he was 71 when he died. His passing occurred a few days after returning from a trip to Bulgaria and, the cause of his death is believed to be lung cancer.